The annual Milan Design Week is approaching. 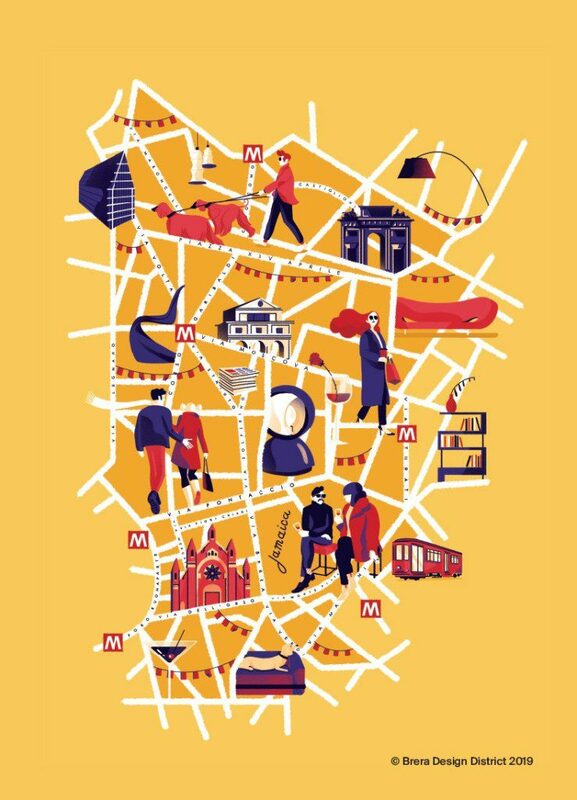 So are you putting together your Fuorisalone 2019 itinerary but feel there is too much to see and do? Check our never-again guide! 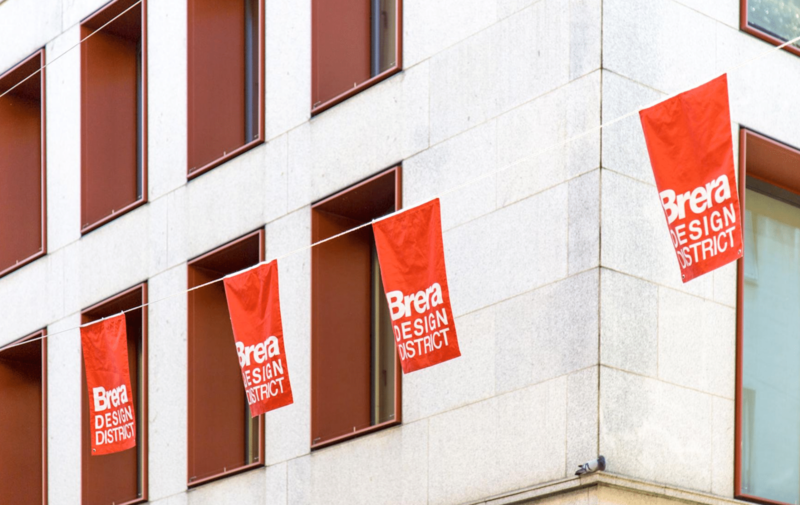 Last year, Brera Design District broke all previous records and now it’s almost ready to celebrate its 10 anniversary with many events and a mission: Design your life, an exhortation to broaden the scope of design into daily life, and a promise of openness to the general public. 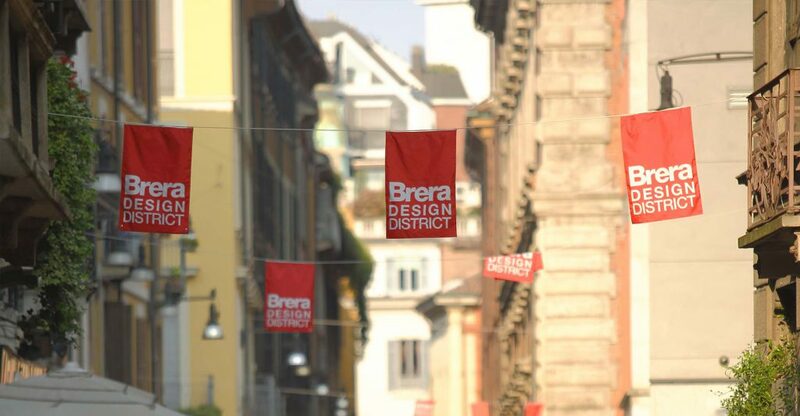 Since it is almost impossible to see every single event, but we think that some of them are really unmissable, here is our personal selection within’ Brera Design District. One cannot but start from the Brera Design Apartment in via Palermo 1, the apartment that every year is completely revised in the interior by a different designer. 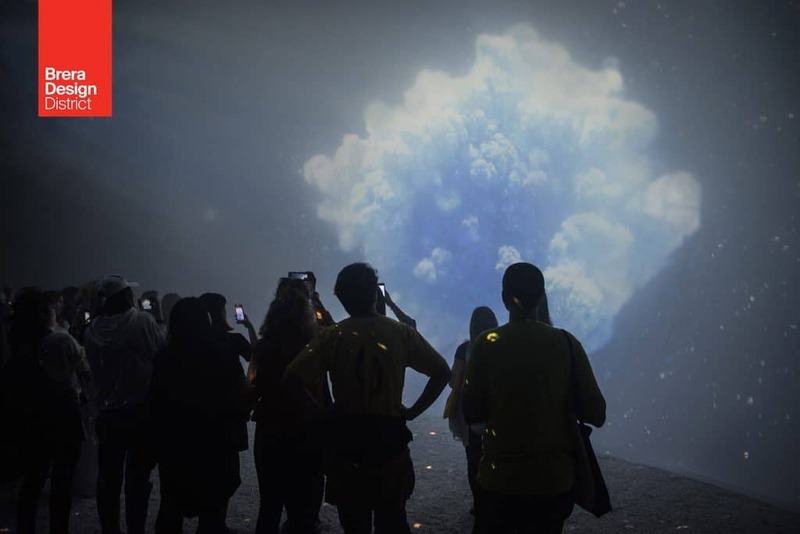 For this edition the restyling is curated by Cristina Celestino who with the Planetarium project will transform it into an almost surreal space, completely covering it with carpet. The theme of the 2019 edition of Brera Design District is Design Your Life. 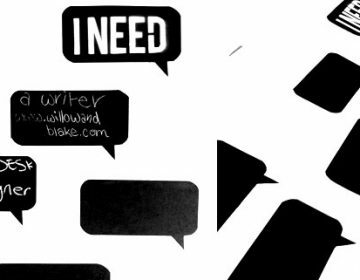 Designers have been working on this theme in terms of design thinking and sustainability. Here project like MateriAttiva is born: a multi-sensorial experience that leads visitors towards a space that evokes a new deal between man and nature. The installation is the result of the collaboration between Iris Ceramica Group and the young architects of SOS School of Sustainability together with Mario Cucinella and you can find it in via Balzan, corner of via S. Marco. 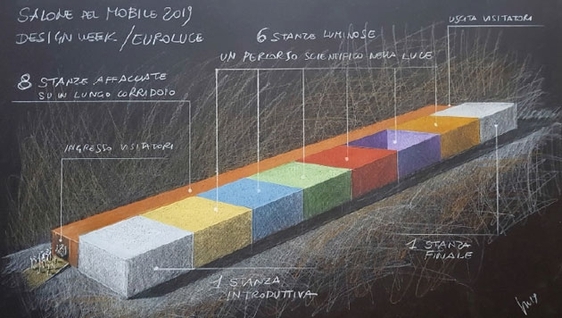 Moving towards Piazza XXV Aprile do not miss an exclusive installation that is a scientific test as well, Le Stanze di Luce: a path of 6 rooms that contain 6 light experiments to test the neurocognitive memory and our degree of well-being in the short term, in light artificial. You can find Le Stanze di Luce in Via Solferino, where the Corriere della Sera is based. The Timberland installation RoBTL by Giò Forma studio is also perfectly themed with the concept of sustainability. In XXV Aprile Square Giò Forma Studio presents a robot – created by pollution and waste – that acts as a spokesman for sustainable design. Always here one can find the temporary garden presented by Eataly Milano Smeraldo and Slow Food. 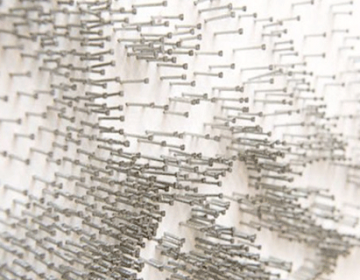 It is called Pratofiorito and was curated by Davide Fabio Colaci in collaboration with the Politecnico di Milano. Light and ephemeral, it offers the city a meadow of flowers that stimulate urban biodiversity following the evolution of spring. 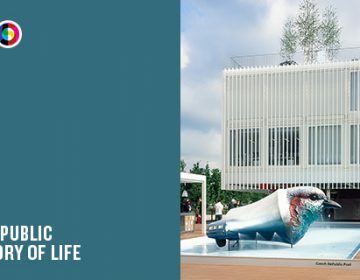 Going to Corso Como 1 to take a look at “The Pool Club”, a container with a strong visual impact inspired by the Miami of the 90s made by Design by Gemini. 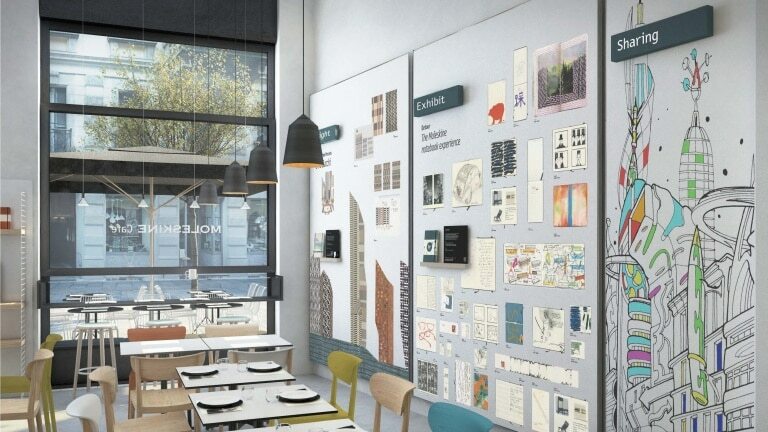 Finally, do not miss the Moleskine Cafè in corso Garibaldi 65, where you can find a Backpack-Silver Edition designed by Giulio Iacchetti on the occasion of the 50th anniversary of the first landing on the moon, so as not to forget the importance of taking trips to unexplored territories. This is first stop guide for Fuorisalone 2019. Keep following for more or get in touch here!